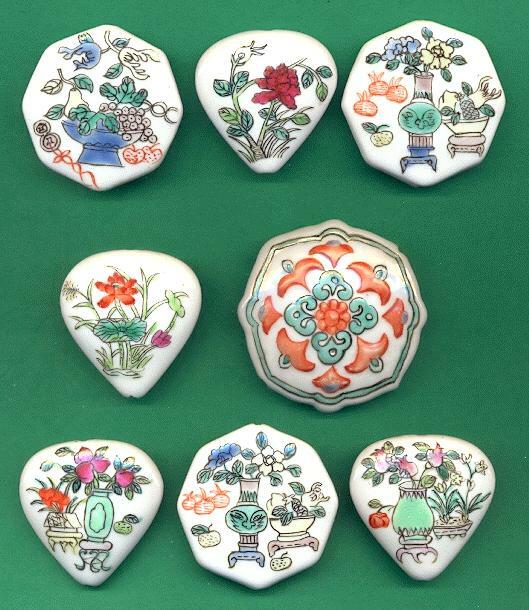 Price listed is for eight painted ceramic beads. They are handpainted with different floral designs on each bead. These range in size from 37mm to 50mm. They have a hole running through the length of each bead.